FILE - Lady Gaga is greeted by former U.S. Vice President Joe Biden after performing for students as part of the national "It's On Us" Week of Action at the Cox Pavilion at UNLV on April 7, 2016, in Las Vegas, Nevada. As stories of sexual assault and harassment continue to make headlines, Lady Gaga and former Vice President Joe Biden have reunited to create a minute-long public service announcement on sexual assault. The video, posted on Gaga's Twitter account Wednesday, shows the "Till It Happens to You" singer sitting next to Biden with arms resting on his shoulders. Biden gently taps on her hand as he introduces Gaga as a surviving victim of sexual assault. Biden says he admires her courage as a "fierce advocate" with a "voice" for those abused. "It's on us. It's on everyone to intervene, to stop abuse when they see it and when they hear about it to intervene," Biden says. Gaga continues by reminding viewers that men too are abused. "We're here to remind you that it's important to reach out to someone in your life that you can trust and to know that they will be there to help you," she says. Originally launched by Biden and former President Barack Obama back in 2014, the "It's On Us" campaign works to end sexual assaults on college campuses. 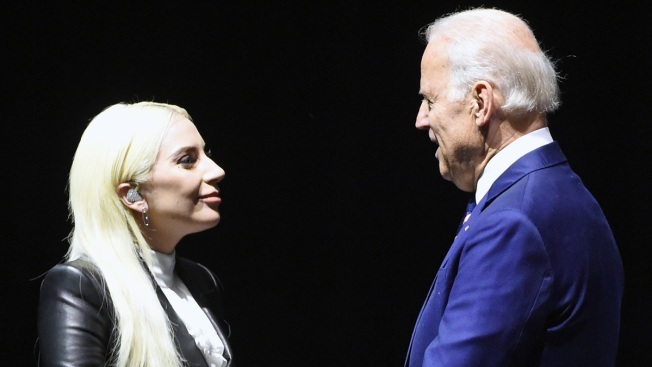 Both Biden and Gaga have been promoting the campaign. Last year, Biden introduced Gaga's "Til It Happens To You" performance at the 2016 Academy Awards. The song was featured in the 2015 documentary "The Hunting Ground" and nominated for an Oscar that following year.